The Invincia Carbon Fiber brings new high-tech materials to the classic styling of the iconic Invincia line of pens. 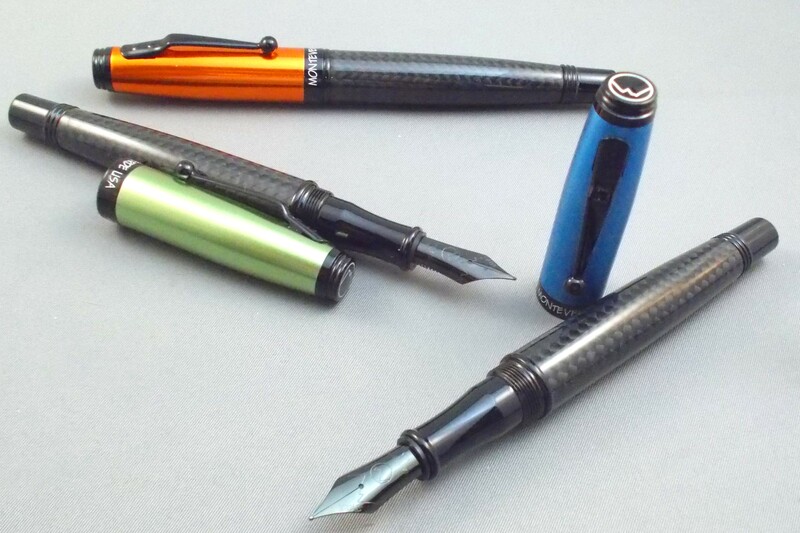 These full-sized fountain pens measure 5-3/8" capped, 6-3/8" posted and 5" with cap held aside. 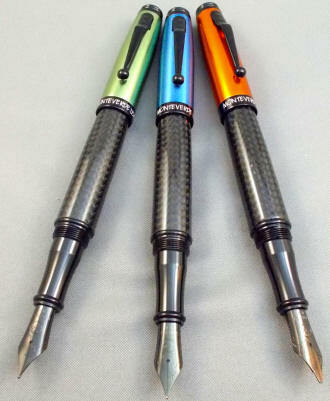 Being of metal construction, they have a pleasing heft in the hand. 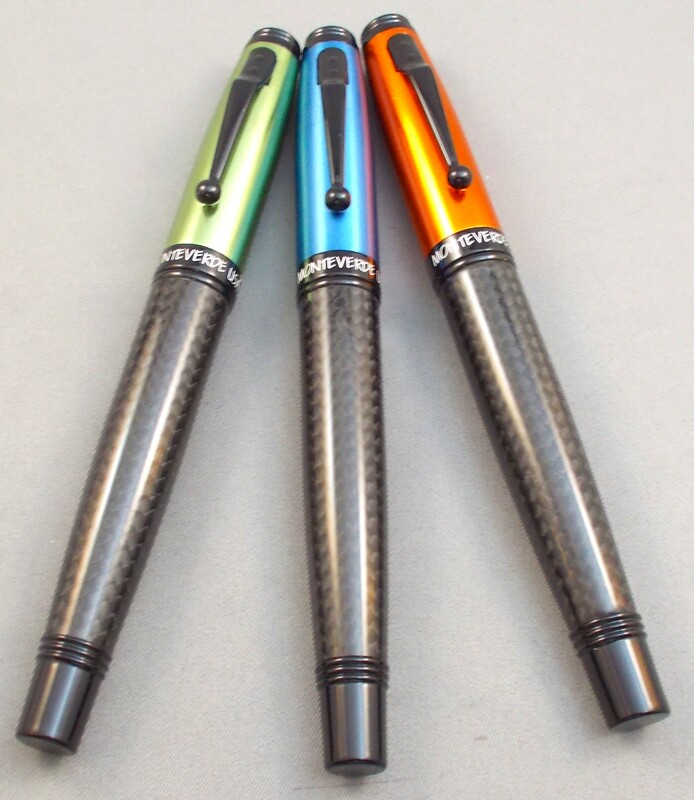 The barrel in each case has a layer of woven carbon fiber, presenting a stunning beauty. The Orange, Blue and Lime Green versions have an anodized cap, whereas the Rose Gold is the return of the favorite which has been available for many years and rejoins the Stealth version.